This is a Character Illustration for the “Serenity Role Playing Game”, published by Margaret Weis Productions. The RPG is derived from Joss Whedon’s movie “Serenity”, based on the TV Series “Firefly”. 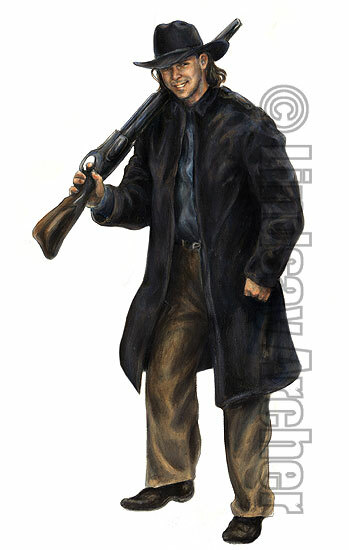 This character is one of the crew from the ship “Aces and Eights”, a cast of characters created for the book. Linz © 2019. All Rights Reserved.